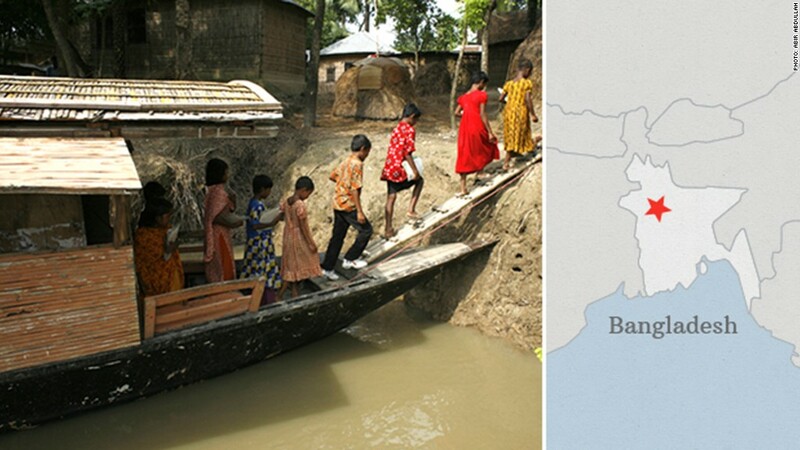 Climate change is set to hit Bangladesh particularly hard, and some predict that 20% of the country could be uninhabitable by 2030 due to rising waters. So some Bangladeshis are working with the tides instead of against them. Nonprofit Shidhulai Swanirvar Sangstha, which was founded in 1998, operates 54 boats that have been reimagined and redesigned into floating libraries, farms, schools and health centers, all housed in vessels about the size of a small fishing boat. One boat, which functions as a moving classroom, is used during the height of the monsoon season and moves door to door, making sure kids can still get to class even as low-lying areas are underwater.